Online multiplayer won't be the focus of this new blog post : we will tell you more about it when launching the official beta in the coming weeks. Instead, we'll tell you more about the many changes in the game's UI. First, the kart selection screen now has a bar indicating the nitro efficiency of a kart. It is also now possible to hover an icon to display a tooltip reminding you what it means. The help menu has been revamped, using a new UI element in STK, vertical tabs. 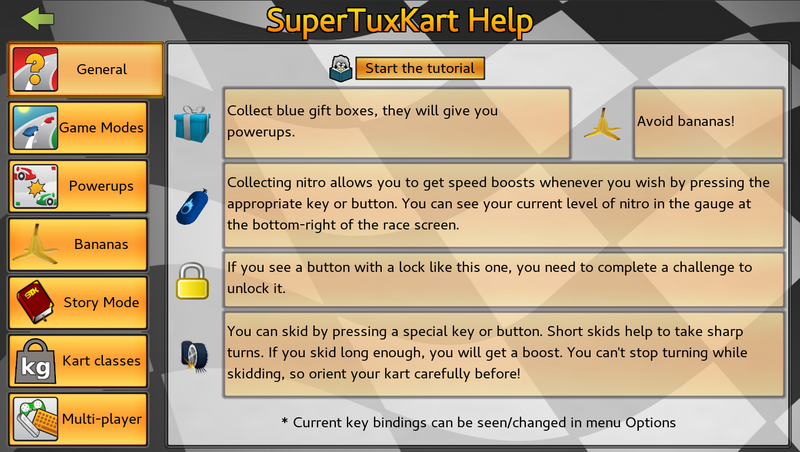 Two new tabs have been added to the help, explaining the story mode and kart classes ; and additional information has been added to several other tabs ; like the skidding help shown here in the general tab. The multiplayer tab also now contains help on how to access online multiplayer. The track info screen now displays up to 5 highscores, and has a bigger track preview picture than before. 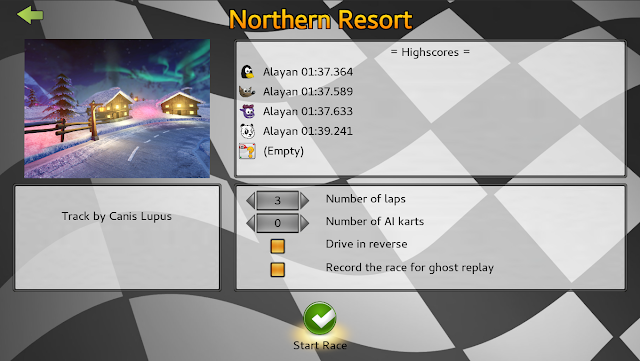 In time-trial mode, race results and highscores are now displayed to the millisecond, like in the ghost replay list. The options menu has also been changed to use vertical tabs. 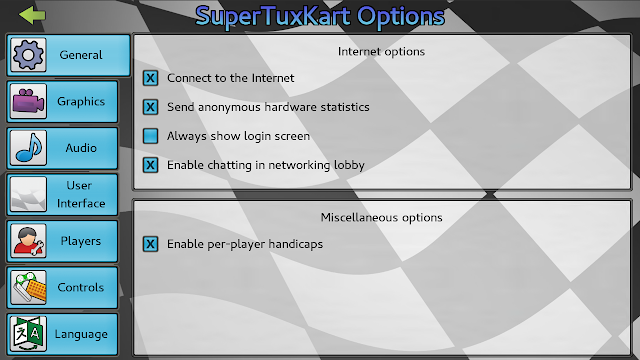 As you can see, this has allowed the addition of two new tabs : a General tab giving a quick access to common options, mostly related to connectivity, and a Language tab, helping to switch SuperTuxKart's language setting with ease and freeing up space in the User Interface tab. Two new options have made their way here, related to improvements and new features in STK : the option to control how the screen is split in local multiplayer, and an option to control the minimap display we'll talk about further in this post. You may also have noticed that the difference between checked and unchecked checkboxes is now much more clear than in 0.9.3. 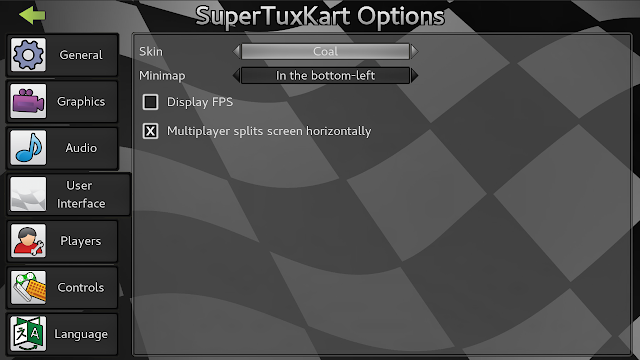 SuperTuxKart also now feature a new dark theme you can choose to enable. 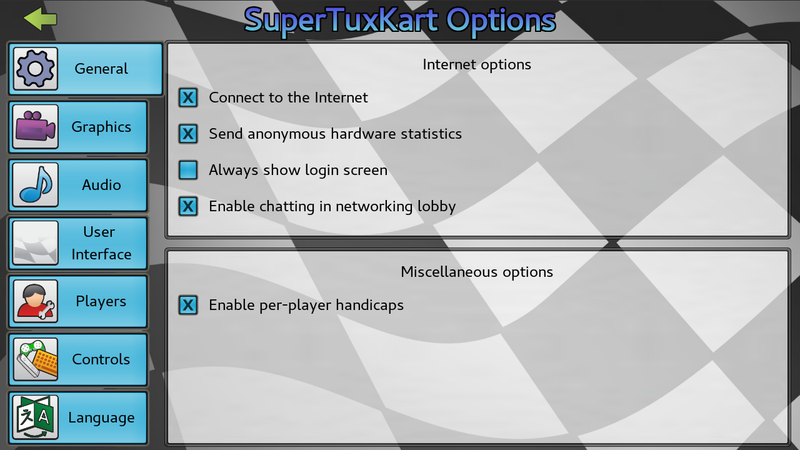 Please note that this is the UI for the regular computer version (Windows/Linux/Max), the Android version share some of these changes but keep touchscreen specifities. All the texts now receive a black outline making them much more legible, especially in tracks where the color didn't contrast enough with white text. Some informational text, like the "final lap" message, now also uses a bigger font, while being put higher to not obstruct vision. The speedometer and nitro gauge have received a major overhaul. The maximum displayed speed by the speedometer is now significantly higher (40 instead of 30 previously, with 25 being the base SuperTux speed) in addition to increased accuracy. It won't be maxed out just because you did a skid or used some nitro ! The nitro gauge is now much more accurate, and slightly bigger. You can tell in a glance how much you have. This is especially useful for the nitro challenges, where the very uneven progression of the old gauge caused frustration. The minimap's default size is now bigger, to help using it with a quick glance. You can choose in the options to display it on the right side above the speedometer, or to not have it displayed at all, according to your preference. The minimap is also displayed before the race's start, to allow players to take a look at it before racing begins. 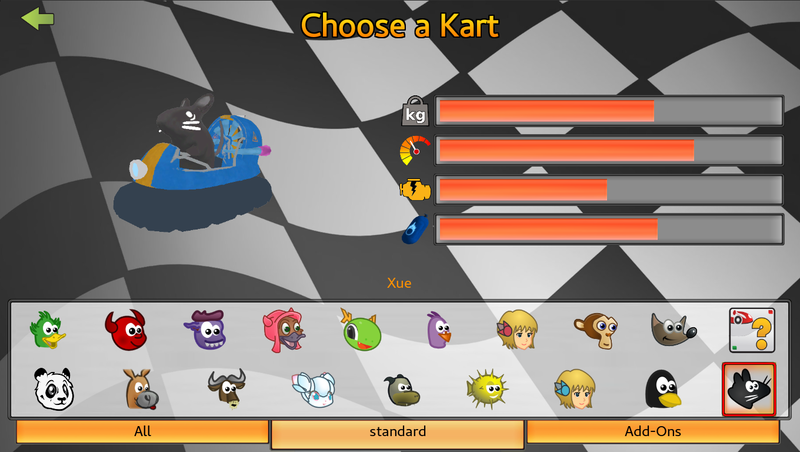 Some other minor changes have made their way into the race UI, like the flag next to the lap counter to clarify its function, and the same flag used next to a kart icon to mean it has finished the race. - And more small fixes and quality-of-life improvements. More fixes and enhancements may also make their way into the next release. Expect more on this soon ! These are really wonderful news, that we can expect a beta release with LAN mutliplayer features in the near future. I've been waiting years for this feature and checked your news blog literally every week. It would be an amazing Christmas present if we could get this new release in the upcoming days. It's really a shame, that so less people are commenting on your posts. Thank you for your work. We love this game.